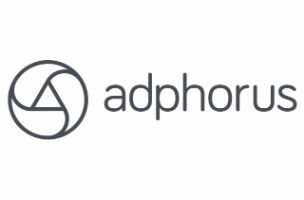 Adphorus, a social advertising solution, has become a part of Facebook’s Preferred Marketing Developer (PMD) program, qualifying for a badge in the ads category. It is one of the first companies in Turkey to be qualified as a PMD in ads. Adphorus is a Facebook ad optimization platform utilizing the Facebook Ads API. It specializes in performance marketing and offers algorithmic optimization and marketing automation to maximize conversions. We are excited to be part of the Facebook PMD program. Adphorus is dedicated to developing products that help performance marketers to get the best possible return on their Facebook advertising spend. Our platform is built for performance marketers and our special focus to the EMEA region helps us work closely with our clients. Several sites are already using Adphorus to optimize their Facebook ad campaigns. They include: Trendyol.com, GittiGidiyor (eBay Turkey), Lidyana.com from Turkey and Mox IT from Dubai. Adphorus is looking forward to work with new advertisers planning to scale their ad campaigns on Facebook and improve their performance.